TOP Bulawayo arts outfit, Iyasa, recently premiered their new children's play - Mr. Roko Goes for a Swim - in Vienna, Austria. The play is currently running with the crew touring Austria after leaving Zimbabwe in April for their annual international tour and cultural exchange programme. The play will be staged in Austria again next year. Iyasa founder, Nkululeko Dube, said this was not their first children's play, as they have created several products in collaboration with different theatre houses. "We are an organisation that works with young people. We champion their cause and engage their issues. This is not our first children's play. We have created several productions internationally in collaboration with different theatre houses and companies. 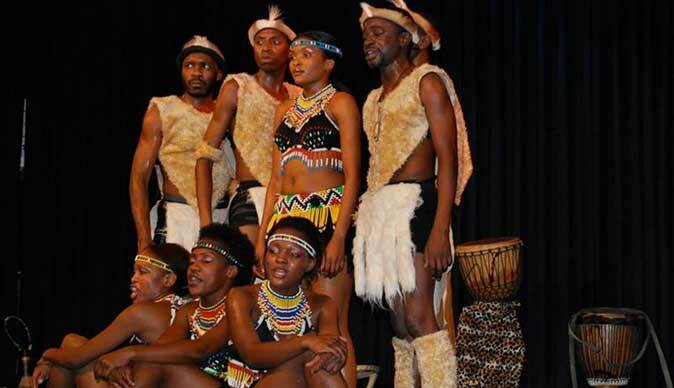 The drive to do children's plays is a huge part of our make up as Iyasa," he said. Dube said children's theatre is rarely a commercial venture, but a social responsibility. "In Europe, children's theatre is functional and in some countries very vibrant. They even have campaigns like 'Take a Child to a Theatre'," he said. "Locally, we are lagging behind and I bemoan the lack of proper structures and platforms for children's theatre in Zimbabwe. Children need it. We have children in Zimbabwe, but it's a forgotten genre. We need to do more to promote children's theatre in our country." Dube said the response had been overwhelming and audiences had fallen in love with the humorous and charismatic characters. "Parents and teachers feel it's a relevant piece with topical issues and lessons for their kids. It's doing very well and has eight members in the cast," he said. He said the play is about a crocodile that comes out of the river and tries to make new friends with other animals in the wild. "Friendly as he is, he tries to open up to them and join them in their day to day lives. They are scared of him. They tell their curious children to stay away from him, because he is dangerous and they have a lot of prejudices about him," he said.